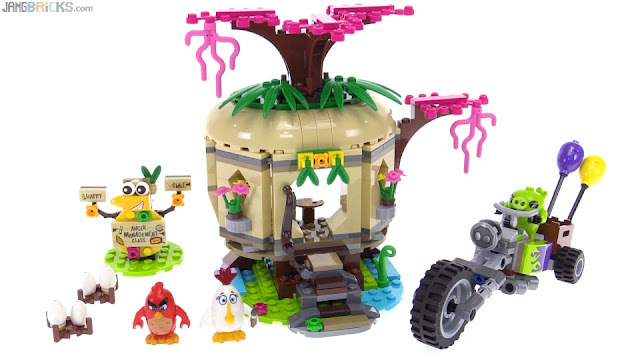 The first Angry Birds Movie based LEGO set I reviewed underwhelmed me even though the size of the finished product was pretty impressive, but this smaller set leaves me with all smiles. 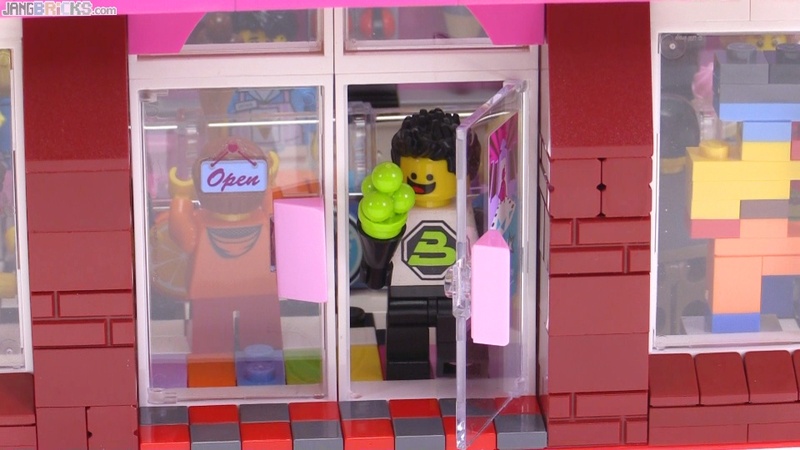 One thing I did fail to cover in the video is what LEGO calls a "catapult" function with the stairs -- they can be hinged forward. It's quite forgettable and does not work as advertised. Basically you can make somebody fall off the step, same as knocking them down. It doesn't catapult anything. The main build in the S-31V set seemed to mimick an S-10V, and this S-10V seems to contain an S-31V. I think I see what they did there. No biggie, still a good set with good builds, good parts, and great figures. I really want to get to one of the Elves sets with a bigger dragon, but the next one of those doesn't come out until next release season. This one, instead, has a little baby dragon, and one we've actually already seen last season. First floor complete! For now at least :) Time to get to work on the second level. To think, the first brick was laid only about 4 days ago. I couldn't be happier! 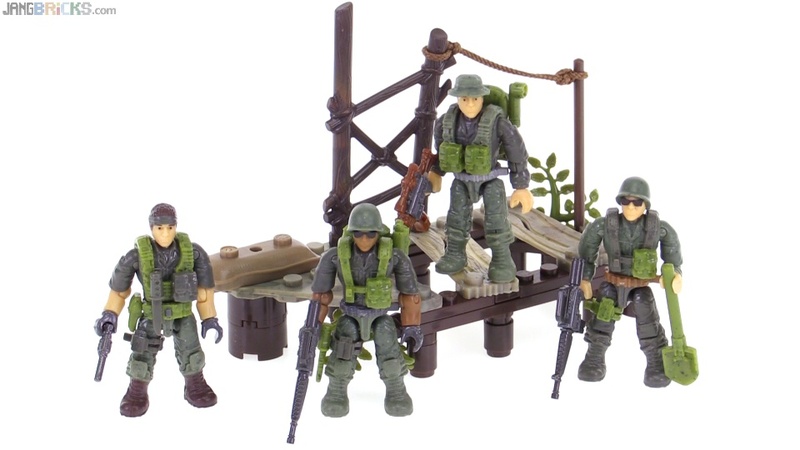 Mega Bloks Call of Duty Jungle Rangers review! Other than an overpriced Amazon listing by a couple of small sellers, I have seen no evidence of the real-world existence of this troop pack in my entire region, until yesterday. Yoink! Finally something to offer to the Mega Bloks CoD fans other than, "I can't review new sets that don't yet exist on the market!" 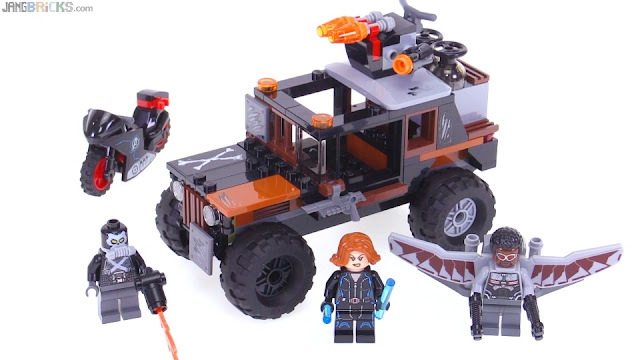 Video: Mega Bloks Call of Duty Jungle Rangers review! 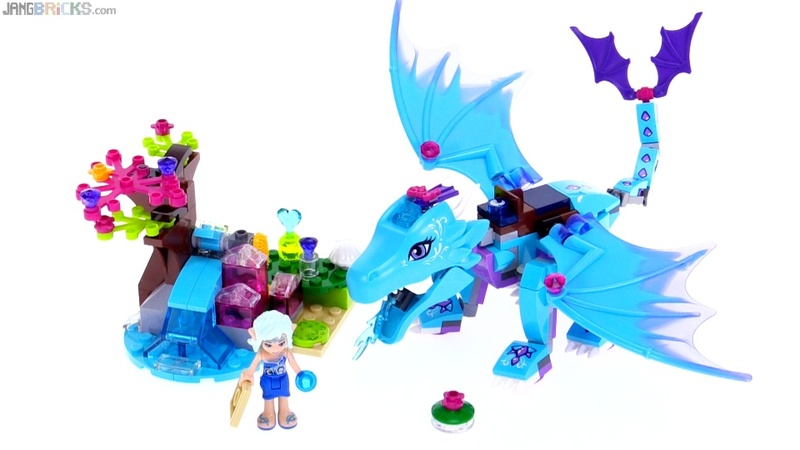 Here's one more large-ish dragon in a set from the latest season of LEGO Elves. I still have a couple more small sets to cover from this theme, and then we wait for the second wave of dragons in the summer. Almost 1 year & 5 months after work began, my hospital is complete, and it even has a name: Enterprise Medical Center. 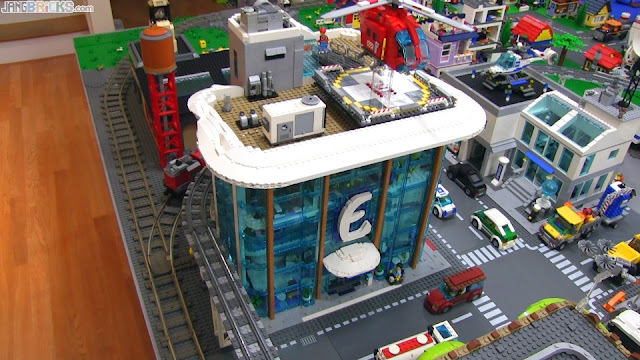 Video: Custom LEGO hospital MOC progress - COMPLETE! The latest video is just in the form of an update, as a proper guided tour of the entire thing won't be started until I can populate the nursery with some of the mini-babies being released this Summer. The elevator car has four protruding wheels that keep it properly aligned within rail-style channels formed by 1x1 extensions in the corners of the shaft. The elevator car itself was also completely redesigned from the original form. To fit the odd 8x7 size, a new 3x7 wheeled gurney design had to be scratch-built. The back two walls of the elevator shaft are solid & connected from the top to the ground. The door panel side and remaining wall are part of the structure of each floor. The roof over the elevator pops off with the motor and lets you pull the elevator car right out with it. The roof elevator doors are different from other three sets. They're 3 studs wide and slide almost completely into the adjacent wall space, which is itself comprised of just 3 studs each side. I hollowed out the space and capped just the ends with the vertical 2x4 tiles you can see on the sides. The flat of the roof is primarily 3 plates high -- white underneath for the ceiling, psychedelic in the middle, dark tan on top. The roof has a 1-stud ridge of protruding plates around the underside edge which clamp the outer building shell together. Though the 3rd floor protrudes far over the lobby below, a little alignment support at the front left corner has no weight on it at all. The overhang is completely cantilevered off significantly inset 2nd floor, forward-most wall. It's held up by the weight opposite side of the floor and the roof. 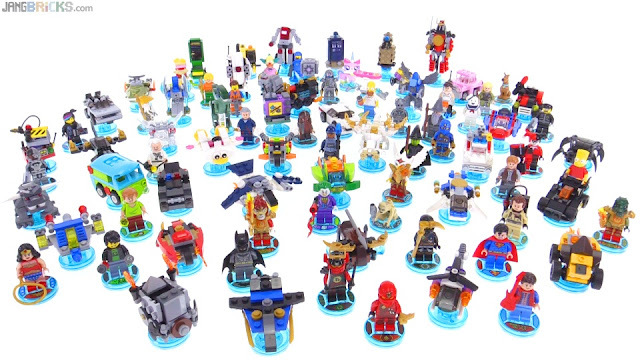 LEGO Dimensions: ALL 80+ minifigs & items waves 1-4! 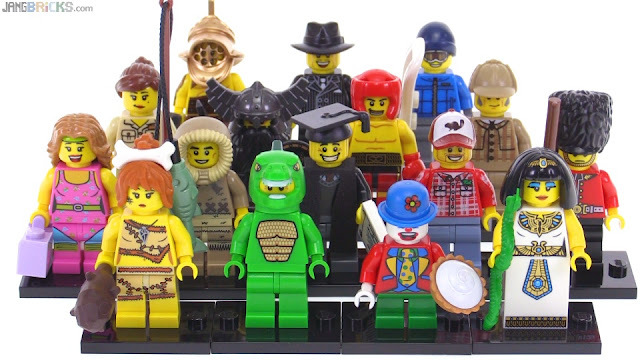 Time for another look back at an entire LEGO product line to date. The picture above shows every Dimensions Fun Pack, Team Pack, and Level Pack figure & build released to the public, so far. 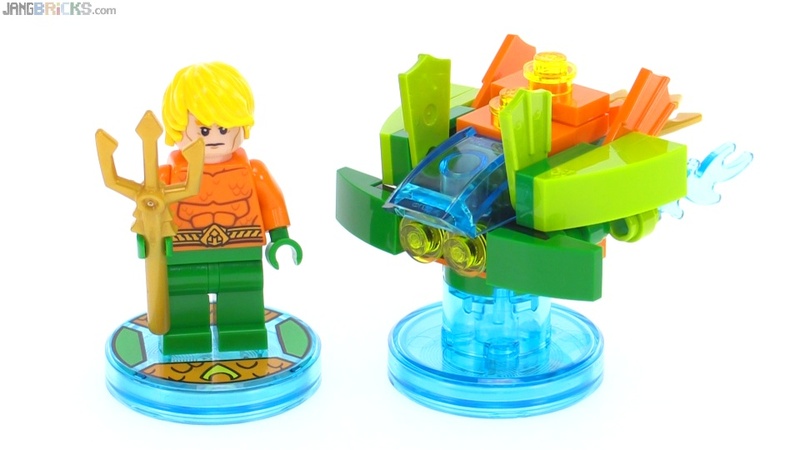 There's still one more wave coming for this first season, featuring just three more small sets. The video goes in for a closer look, including trying out some groupings of figs & items by theme and/or type. Video - LEGO Dimensions: ALL 80+ minifigs & items waves 1-4! All LEGO Super Heroes Mighty Micros together! Another season wrap-up! 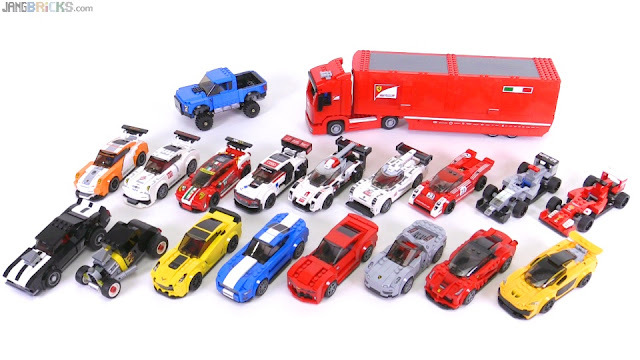 Just six sets, but 12 vehicles & figures makes this a cool little display of what the Mighty Micros design team had in mind on the whole. In the video I do a quick final run through & pick out my faves and least fave. 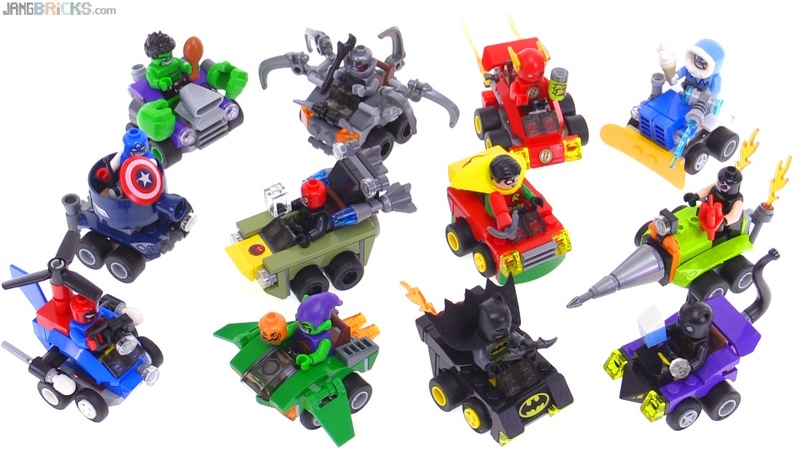 Video: All LEGO Super Heroes Mighty Micros together! 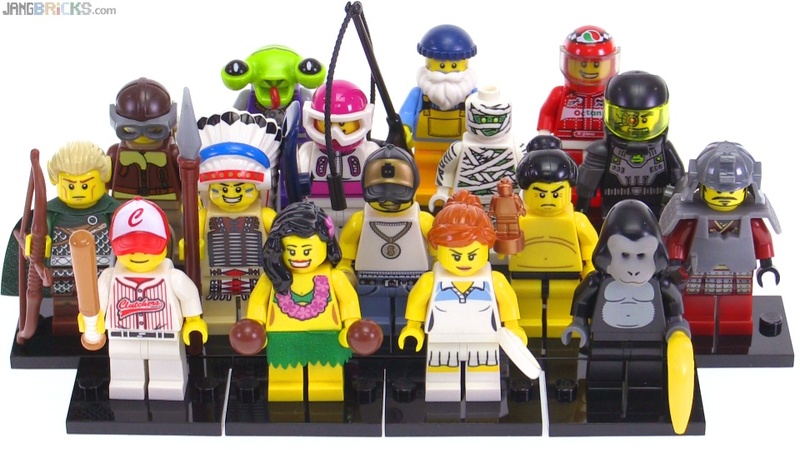 LEGO Series 4 Collectible Minifigs from 2011 reviewed! I just keep moving along through these past CMF collections. 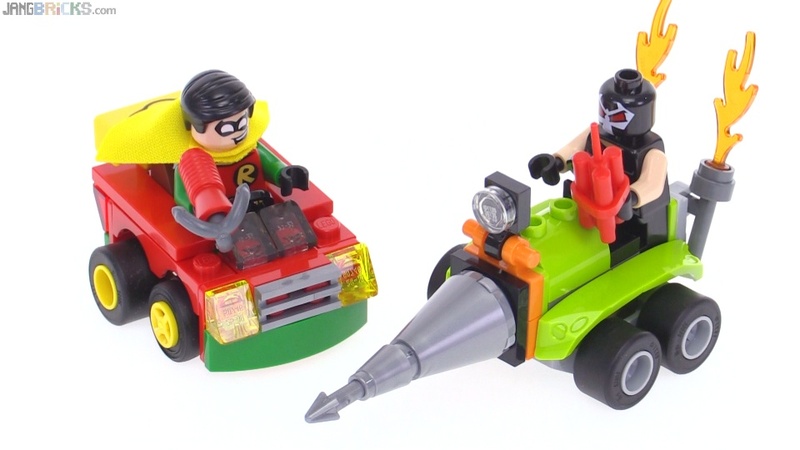 Still a lot to get caught up on from the days when I was only focusing on LEGO's large action figure lines. 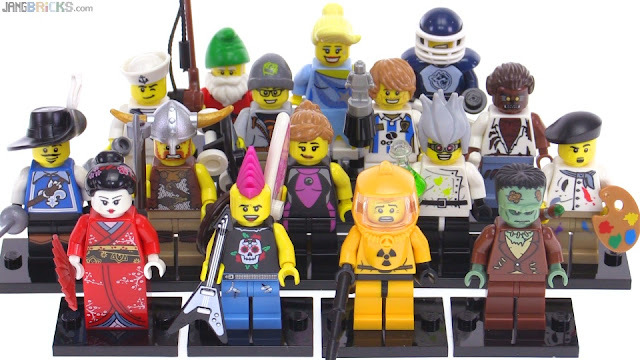 Video: LEGO Series 4 Collectible Minifigs from 2011 reviewed! Errata: I wrongly called the second one "swashbuckler." He is a swashbuckler, indeed, but the official title of the figure is "Musketeer." 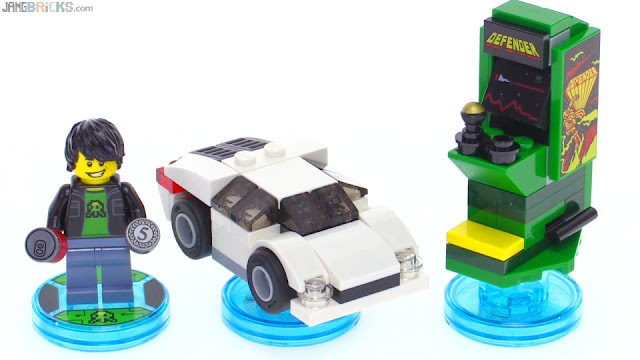 Here's one last LEGO Dimensions add-on to finish off the latest wave. One more small group of products is coming, but after that the roadmap becomes decidedly secret. I hope they have big plans for some new types of content. 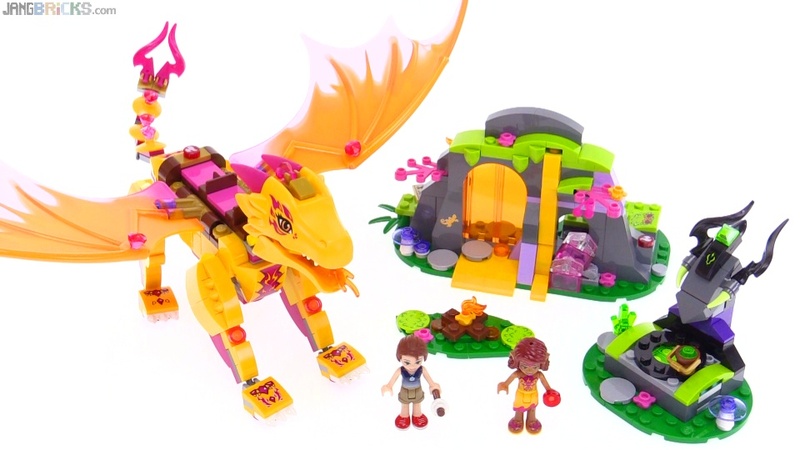 Here's another of the newer LEGO Elves sets, this one including the largest of the dragons they've made so far. LEGO Series 3 Collectible Minifigs from 2011 reviewed! 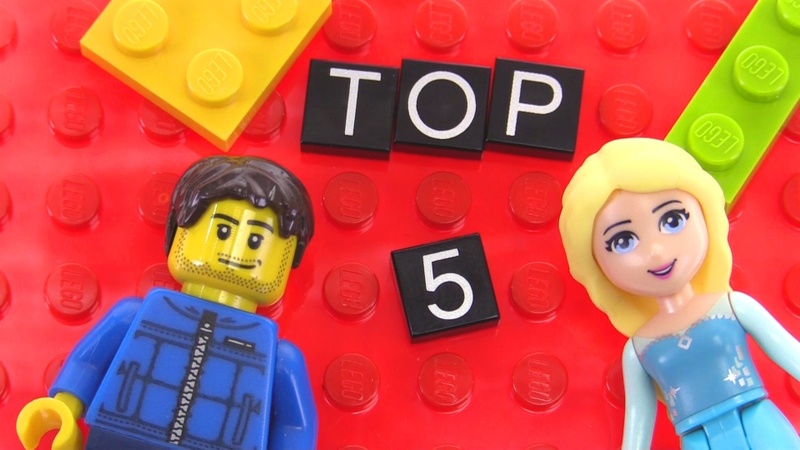 Video: LEGO Series 3 Collectible Minifigs from 2011 reviewed! 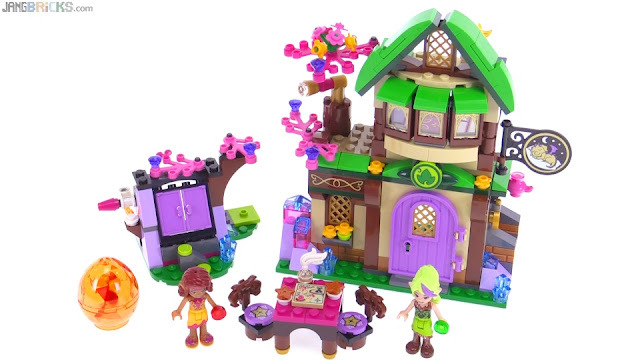 'Tis the season for another seasonal set :) Adorable. LEGO Speed Champions 2015-2016 car collection! Well, this collection escalated quickly. Putting all of these cars together makes them look like a diecast toy lineup or something, and I really like what I see! 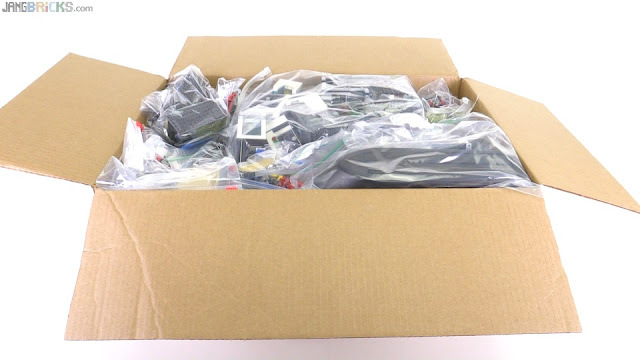 This is it, my last wave 1 Mighty Micros review! All of 'em are online now in the Super Heroes playlist on my channel, and I'll also do a quick summary of all 6 sets within the coming week. It's #iHazAbox time, but in reverse! 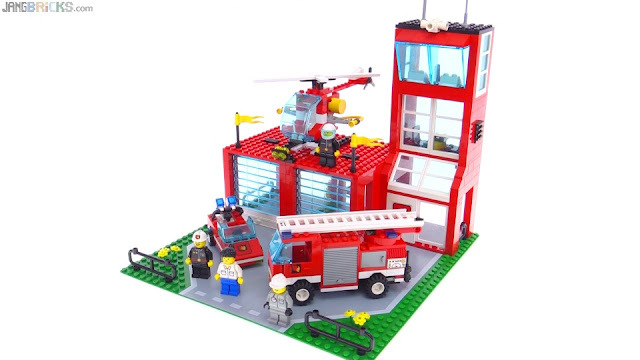 With most of the first wave of 2016 sets reviewed and my long-planned old vs. new fire station comparo out of the way, I finally get to do my big seasonal charity giveaway. This estimated 40 lb. box is headed off to an organization I've supported in the past, The Giving Brick. They are a phenomenally selfless and hard-working family-based organization about which I can't say enough good. If you or anyone you know have any extra or disused LEGO to spare, please consider passing the lot along to a charity that can process them for the benefit of kids in need. Old vs. New: Has LEGO gotten worse? If I've heard it once I've heard it a thousand times, and in a thousand ways. 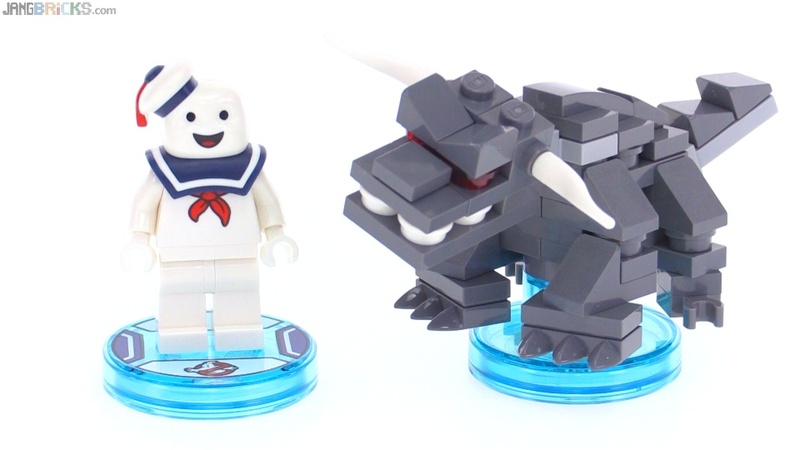 "LEGO has gone downhill." "LEGO was so much better when I was a kid." 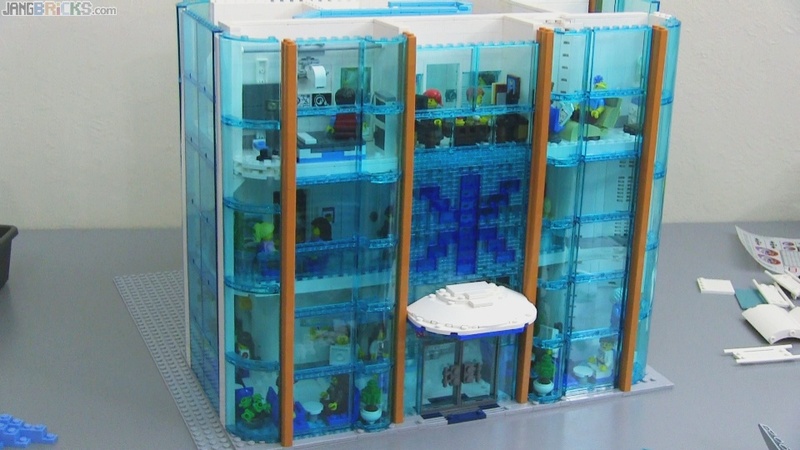 "LEGO used to make good stuff, now they're just in it for the money." 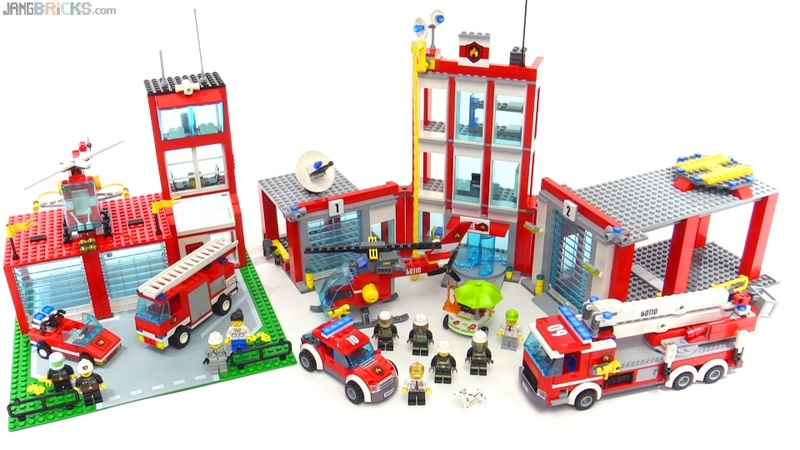 In my latest effort to explore the sources of these feelings, I look at two fire station sets, one from 1994 and one current. 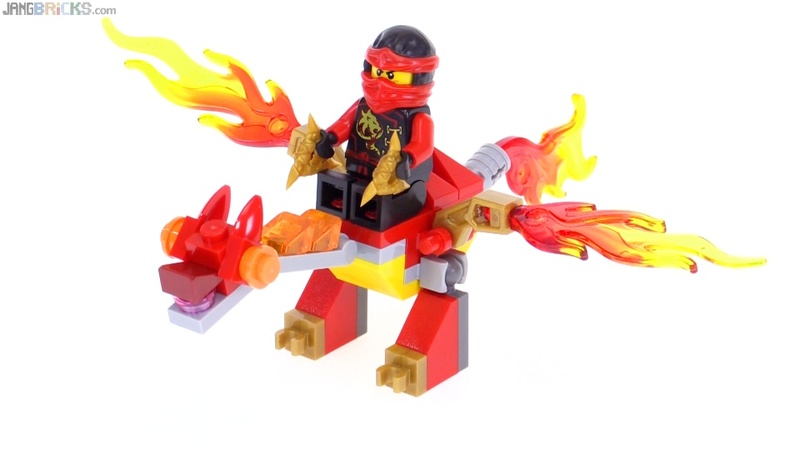 I chose 6571 Flame Fighters to represent the old school specifically because it is the biggest of the classic era, and with its play value & level of detail one could argue it was the best (though nostalgia bias will rule that argument for most folks). Being the last in the classic style before the juniorification of LEGO System in the late 90s took its toll, 6571 also was able to benefit from the largest parts selection in its class. In spite of my attempts to give the classics the best possible fighting chance, I can't help but feel there's hardly a contest here. 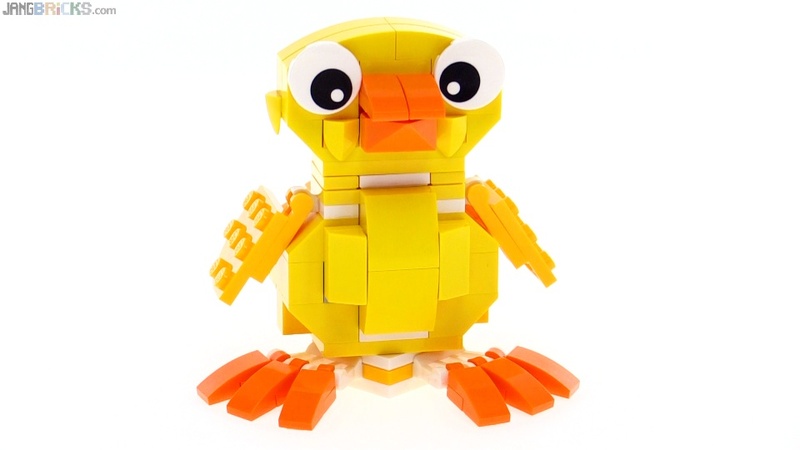 Video - Old vs. New: Has LEGO gotten worse? Just looking at the one image above tells much of the story -- the modern set is dramatically larger and includes more of everything. In fact, it comes with over twice as many parts. At the same time, the price/part ratio of the new one is just over half that of the classic, bringing the inflation-adjusted (i.e. real) retail price within very close range. The last row of the table above addresses the common, related complaint that old LEGO sets were made with standard pieces you could rebuild into anything, while new ones are mostly prebuilt with single-use molds. 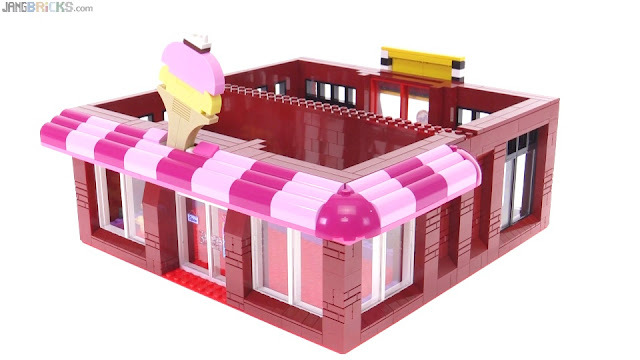 All I did was pull up the part inventories on Bricklink and sort them by category, tallying up all plain, un-modified, traditional bricks (including rounds) and plates in each set. For a single data point, the difference in percentages is statistically insignificant. 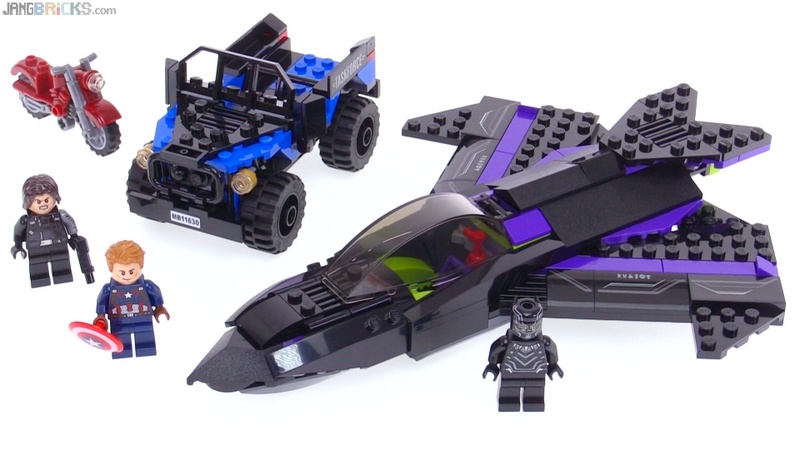 Perhaps even more telling & on-point is the reverse view of the numbers, showing that 66% of the classic set's parts were not basic bricks & plates. All that said, what do you think? Has LEGO gotten worse over the years as many detractors wax, or do the numbers and visual & play feature comparisons accurately convey a different story? 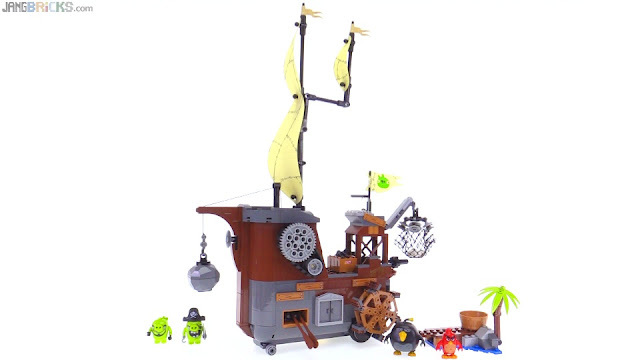 When I think about "classic" LEGO set series I usually think back to the 1980s. However, the styles of builds used in core themes made their way well into the 90s, as evidenced by this 1994 main Town series fire station. Check it out & let me know what you think of it. As promised in the haul video in which I first unveiled this thing, I'll soon do a comparison against an equivalent modern set. It's the big one! I definitely saved the better of the first three Captain America: Civil War sets for last. 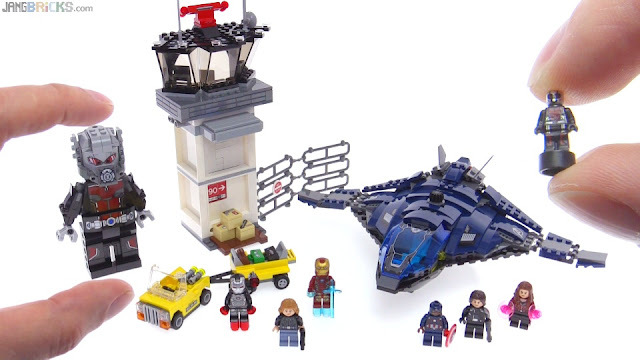 This one has a wide selection of minifigures, a nanofig, a giant fig, a beautifully crafted Quinjet, and a respectable airport control tower. 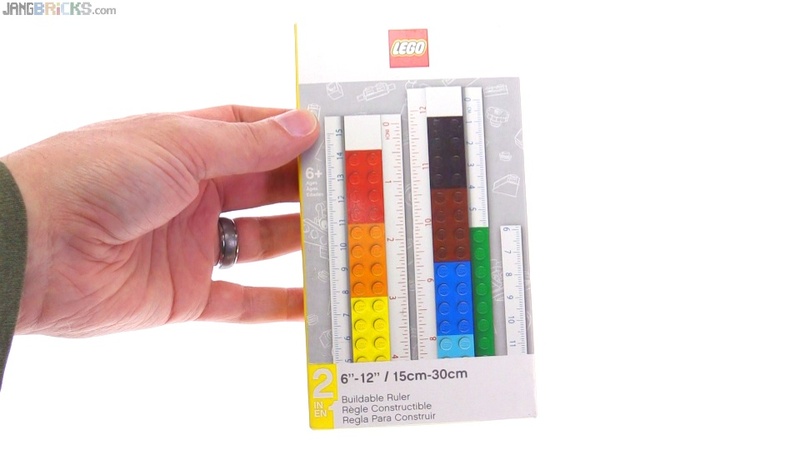 It's not the cheapest set, but the price/part ratio is good and I think the general value is there. I've gotten many requests to do a "video review" of the new Bionicle animated series once it came out on Netflix, but I really have no interest in producing that sort of content. 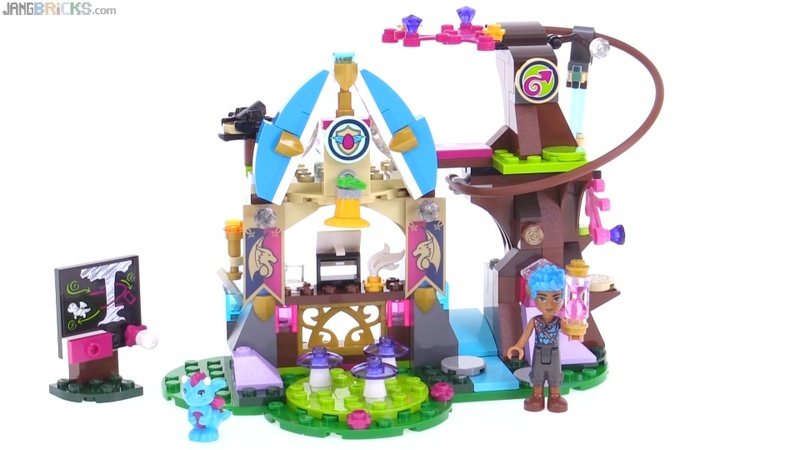 However, Brickset just published their review, prompting me to start a reader comment that quickly grew into something I thought some of my own viewers would want to see. So, here it is, fleshed out a bit. I feel Bionicle: The Journey to One was nicely produced for a kids' show. The graphics were primarily 3D rendered with a conservative application of cel shading that fit nicely between the 2015 comics and the old movies' more realistic style. The voice acting was a non-issue for me; everybody did fine, and nobody annoyed me. I did feel the vocabulary was simplified a bit awkwardly much at times, though, even for the target audience. The Creatures seemed badly underused in their solo forms considering that they constituted half of the physical toy line. 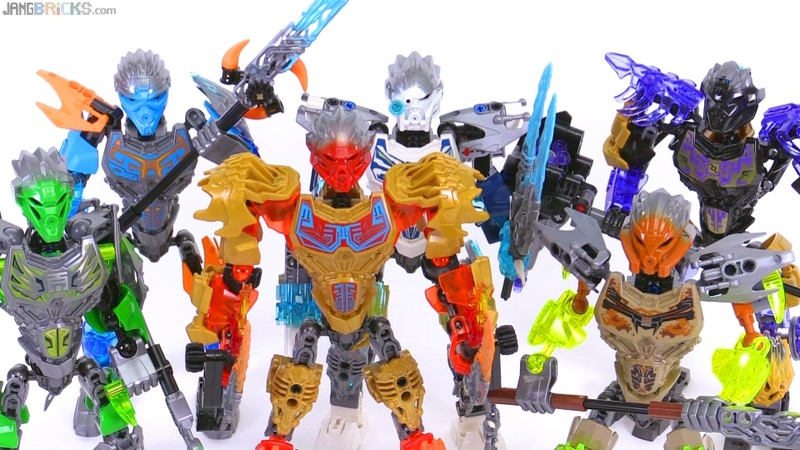 All of the focus was on them merging with the Toa around every turn, losing any individual identity in the process. That process wasn't even special -- no "I... have... the power!" sequences. I know the intent was to motivate kids to want more product$ to make their Toa more awesome, but the execution severely diminished the intrinsic value of the main characters themselves. Though upgraded with all-new bodies, the Uniters are significantly weaker than they had become as Masters last season. They could not even defeat "Creatures" in one-on-one combat! Think about that. A $15-$20 Toa alone is no stronger than a generic, unnamed $10 Creature? I suppose there's an angle of bringing parity to the underdogs, but any one of said protago-beasts could fall to a 10-piece Shadow Trap anyhow, so really nobody had any power at all. Only through Unity (double purchase$) can anyone overcome any obstacle or accomplish any task this season, is what the show told us. I am glad many kids will ignore this message and direct their own battles as they see fit, but I feel bad for those who won't (and for their parents). Today's release was also quite short and the gravity of finishing the second episode roughly 40 minutes after opening the Netflix app left me feeling a bit empty and lost. That's less than 3/4ths of a single hour of content, to carry & cover an entire season of the toys & story. Perhaps my own self-generated hype was just too high, biased by the likes of Ninjago, Nexo Knights, and Playmobil's Super 4. I do very strongly recommend that any current or potential Bionicle fan watch The Journey to One in its entirety. After all, it won't take much of your time to finish ;) All cynicism aside, it was an enjoyable bit of entertainment that brought a lot of life to the toys and the characters they represent. Just don't expect it to be an emotionally moving establishment of the second glory era of Bionicle. 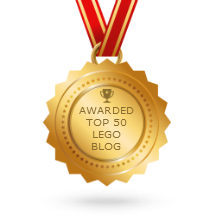 LEGO Bionicle 2016 season 1 wrap-ups! The new LEGO Bionicle animated series The Journey to One launched on Netflix today and to mark the occasion I've uploaded over 35 minutes of my own new Bionicle-related content to YouTube! In four videos I summarize all of the second season heroes, including combination models, and compare them with their immediate predecessors. 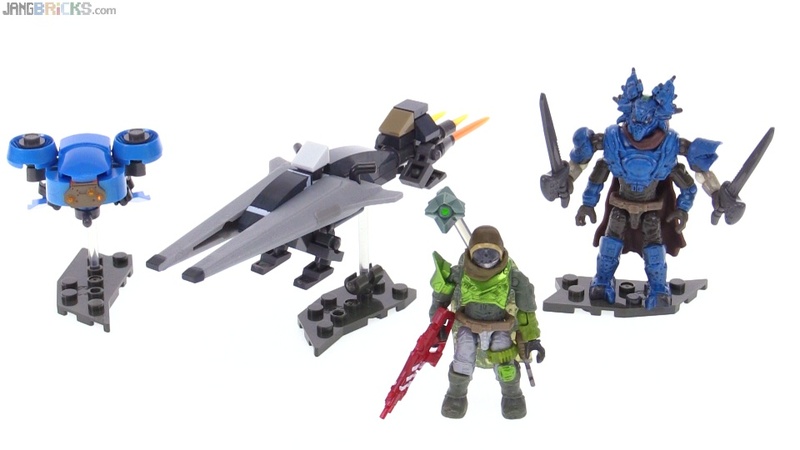 LEGO Bionicle 2016: All Uniter Toa together! 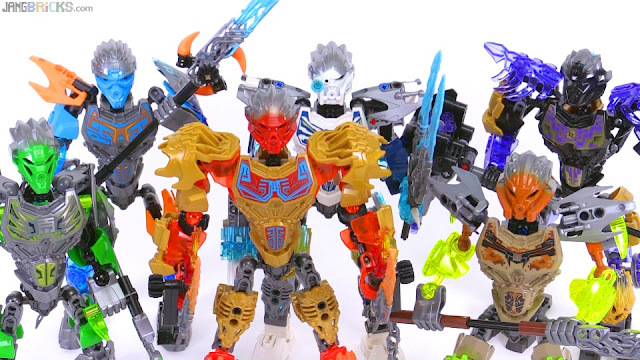 LEGO Bionicle 2016: All Unity combinations! Here's my first look at a Captain America: Civil War set. The movie is still two months out, but I feel there's enough hype already and this is a good enough set at a low enough price point that it should sell well out of the gate. 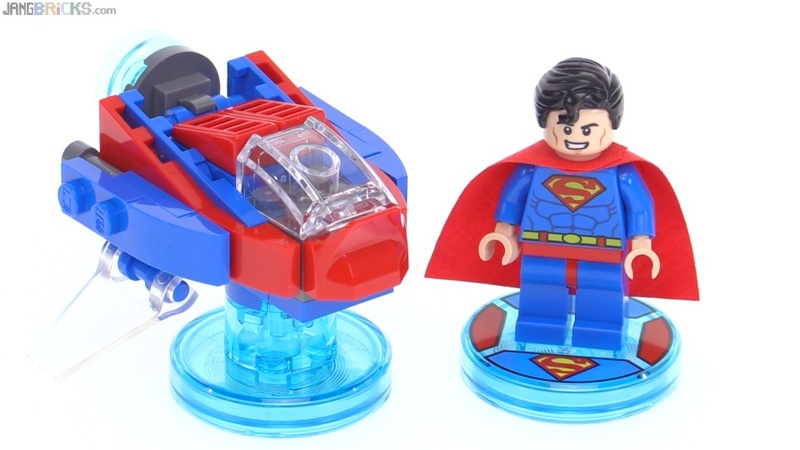 New small DC Comics LEGO Dimensions now in stores. The build isn't great in-game or in person, to me, but Superman is a most useful character.